One of the most frustrating things anyone can face is a broken A/C or heater. However, even more frustrating is when this occurs after hours, on a holiday, or on the weekend. That’s why having access to a good emergency AC and heating service company is so important. Cote’s Mechanical offers 24/7 emergency service no matter when your A/C or heater decides to go out. In some cases, a malfunctioning air conditioner may be just a nuisance. In early spring or fall, for instance, you may get by just fine with your fans until a technician could be dispatched during normal business hours. But in the middle of a North Texas summer, it can be downright dangerous to try to wait a couple of days without proper cooling for your home. If you have any symptoms of heat-related illness including dehydration, seek medical attention immediately. We know that when it is 90 plus degrees outside, a broken or malfunctioning air conditioner is an emergency. That’s why the team at Cote’s Mechanical doesn’t just work Monday through Friday from 9 to 5; we offer emergency A/C repair services anytime you need them. Give us a call and let us help. You will be put in touch with a trusted HVAC expert who can help you diagnose the problem and decide what the best course of action would be. In many cases, we will dispatch a repair team right away so you can get your home or business cool once more. All of our technicians are NATE certified and trained in providing the very best service possible. We stand behind all the work we do—be it at 3 in the morning on a Saturday or 3 in the afternoon on a Tuesday. When the cold winter weather arrives, you expect your heater to respond when you turn it on. When it does not and the outside temperatures are close to or below freezing, it can be an emergency. That’s why at Cote’s Mechanical, we are proud to offer emergency heating repair in winter. 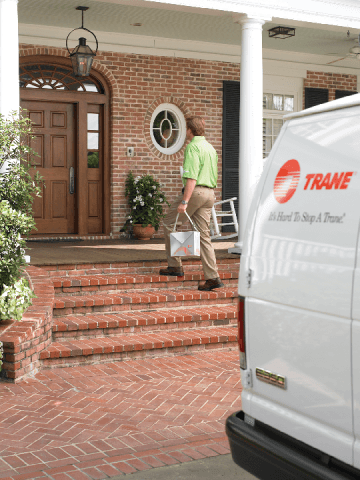 We employ only well-trained, friendly and NATE-certified technicians, so you can feel confident that the repairs done on your heater are the best possible. We stand behind a job well done. If you’d like more information about our emergency HVAC services or if you’d like to talk to an expert about your problem, contact Cote’s Mechanical today. We look forward to helping you stay cool in the summer and warm in the winter.